The university comprises of various colleges & schools: School of Architecture and Planning, College of Arts and Sciences, School of Dental Medicine, Graduate School of Education, School of Engineering and Applied Sciences, Law School, School of Management, Jacobs School of Medicine and Biomedical Sciences, School of Nursing, School of Pharmacy and Pharmaceutical Sciences, School of Public Health and Health Professions, School of Social Work, Roswell Park Cancer Institute Graduate Division. 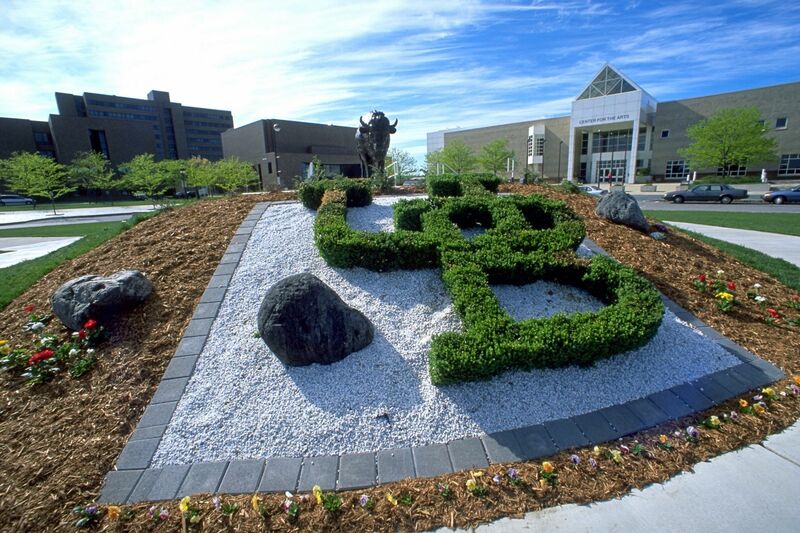 The most popular majors at University at Buffalo-SUNY include: Business, Management, Marketing, and Related Support Services; Social Sciences; Engineering; Psychology; and Biological and Biomedical Sciences. The total student population at the university is more than 29,000 of which over 19,000 students are enrolled in the undergraduate programs. The student to faculty ratio at the university is 13:1 and the acceptance rate is 60%. Academics at UB are further enriched by living-learning communities focused on a certain topic, more than 80+ study abroad options, and the nation’s oldest honors college. 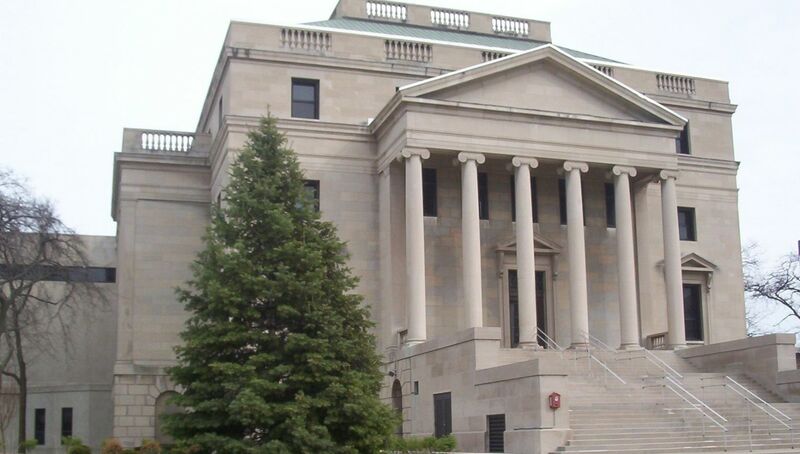 The financial aid options include grants, scholarships, work-study and loans, and is provided through many different agencies including federal and state governments as well as individual departments at University of Buffalo. 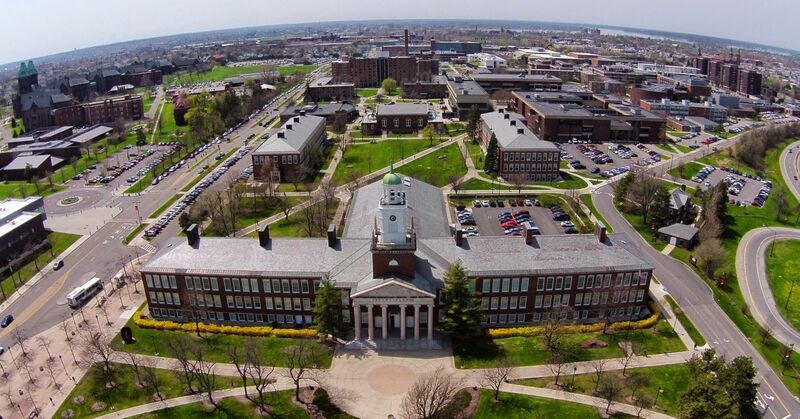 As a state/public university, the University at Buffalo is able to offer very affordable tuition to all its students. International students pay the same tuition as other out-of-state (non-resident) students; there is no special surcharge for international students. International students are not eligible for federal financial assistance. However, they may be eligible for other types of aid such as university-based scholarships. The University at Buffalo School of Dental Medicine offers the International Dentist Program (IDP) for the internationally trained dentist who seeks to practice dentistry in the United States. The International Dentist Program is two years in duration, beginning in May with an intensive preparatory summer course. Graduates receive a DDS degree and are eligible to participate in the various licensure examinations given across the country. The MS in Engineering Science with a focus on Data Sciences program provides students with a core foundation in big data and analysis by obtaining knowledge, expertise, and training in data collection and management, data analytics, scalable data-driven discovery, and fundamental concepts. This applied program trains students in the emerging and high demand area of data and computing sciences. Students will be trained in sound basic theory with an emphasis on practical aspects of data, computing and analysis. Graduates will be able to serve the analytics needs of employers and will be exposed to several areas of application. The undergraduate programs in the School of Management are designed to prepare students for eventual managerial roles in the private and the nonprofit sectors. The curriculum emphasizes a broad exposure to mathematics, social sciences and a general education in management studies. The undergraduate programs in the School of Management are designed to prepare students for eventual managerial roles in the private and the nonprofit sectors. The curriculum emphasizes a broad exposure to mathematics, social sciences and a general education in management studies. The Master of Science in Accounting program is designed for accounting students or professionals who have completed an undergraduate accounting degree from a U.S. college/university and who seek to enhance their technical and professional skills through completion of an advanced degree in accounting. The Our MS Accounting graduates have consistently out-performed the top largest accounting programs in New York State on the CPA exam. The Adult-Gerontology Nurse Practitioner DNP Program prepares nurses for advanced practice to be competent in assessing and managing both health and illness states across the adult/older adult age spectrum and across the continuum of care from wellness to illness. Students train in community-based setting as well as hospitals and subspecialty areas in order to prepare them for a broad spectrum of opportunities in the care of adults. The program is designed for nurses who are Bachelors or Masters prepared. *Fees vary for each program. Please visit program page for specific fees. The annual cost of living is $15,000 approx.